Clear polyester film coated with REMOVABLE adhesive 1 side. May be used on substrates other than glass. 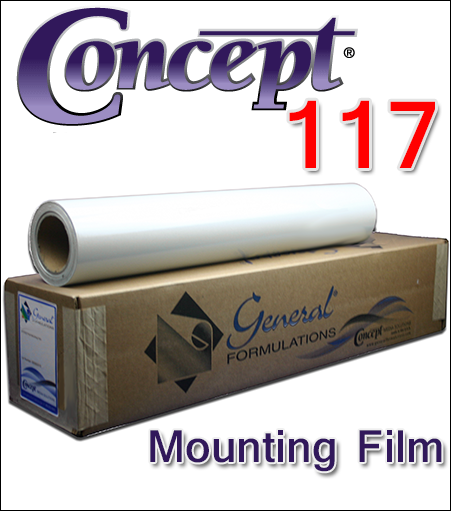 ► General Formulations® 116 is a double-coated pressure sensitive 1.0 mil clear polyester film with permanent adhesive on one side and removable adhesive on the other side. ► This clear mounting film can be laminated by the cold laminating process without the addition of heat. ► This clear mounting film is designed to produce two sided decals using digital prints, screen printed and other printed images for application to glass. ► These decals are cleanly removable. In all cases, the substrates must be clean and free of dust, dirt and oil. ► May be used on substrates other than glass but your specific application must be thoroughly tested before production. ► This product is designed for laminating thin flexible plastic films and papers under 10 mils in total thickness for temporary application to glass.